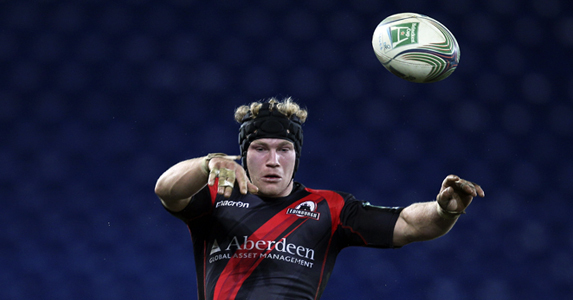 Head coach Michael Bradley today announced one personnel change to Edinburgh Rugby’s starting side for Sunday’s decisive Heineken Cup clash with London Irish at Murrayfield (kick-off 3.15pm). Back-row regular Roddy Grant’s replacement of Ross Rennie is the only change to the team that kept the club joint top of Pool 2 last weekend with a 27-24 win over Racing Metro at the Stade du Manoir (27-8). The club go into Sunday’s match seeking a repeat of their Heineken Cup opener against the Irish Exiles in Reading (20-19) and a place in the last eight of Europe’s elite club rugby competition for the first time in eight years. Head coach Michael Bradley, said: “This match is massive. It’s very exciting for everyone involved in the club who have supported us throughout the group stages and who have been fixated on this match since the final whistle in Paris. The last and only time a Scottish side made the last eight was Edinburgh’s appearance in 2004, with three members of Sunday’s starting team targeting a return to the knockout rounds: full-back Chris Paterson, scrum-half Mike Blair and prop Allan Jacobsen. The club are cranking up the off-field entertainment by recruiting samba bands, highland pipes and drums and hosting inflatable ‘zorb’ ball races for supporters at half-time.